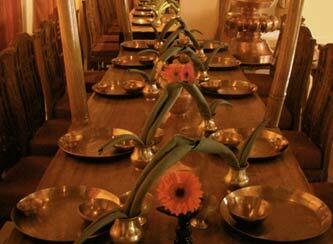 At the “ Astha Mangal Lounge” meaning the lounge of the eight lucky signs, you will feel that life is all about space. 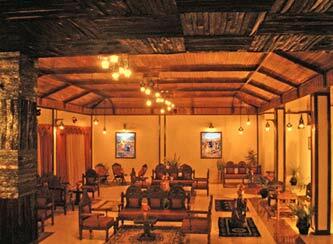 You will find the large expanse with Malaysian Pine Wood on the ceilings quite enchanting and romantic. And at night, the special hand made clay chandeliers dropping from the roof height adds more drama to the setting. 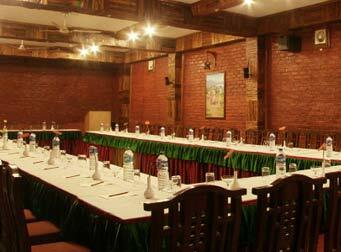 The" Suntaley Chulo" restaurant offers an eclectic mix of the finest international dishes with the delicate nuances of carefully prepared and highly popular Sikkimese and Nepali delicacies. For happy hours the " Black Stag" bar offers a selection of imported liquors along with a choice of creative cocktails and mocktails to set the right tone for a joyful evening. “Manjushree” one of the largest conference hall in the state has a capacity to accommodate 150 to 350 persons with different sitting styles and makes an ideal setting for combining business with pleasure.